At the GAMA Trade Show, ICv2 spoke with Arcane Wonders to find out about upcoming 2017 releases, expansions, and new retail support initiatives. 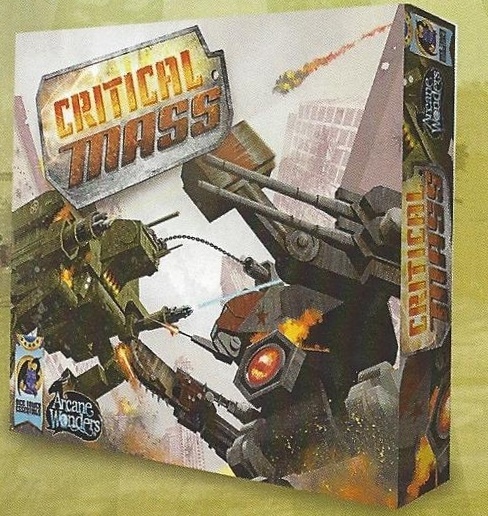 Critical Mass, formerly called Starborne, is a fast-paced, fighting-strategy mech combat game designed by Kevin Chang. 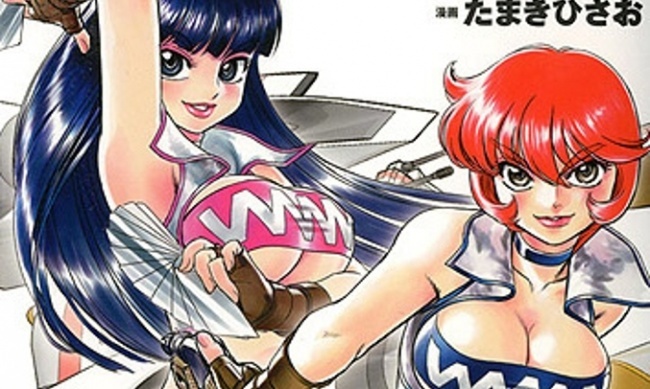 The two-player game has players choose their Mech and outfit it with weaponry, and then attempt to outgun, outmaneuver, and outplay their opponent. The game will be part of the Dice Towers Essentials line. MSRP is $29.99. Release is planned for August. 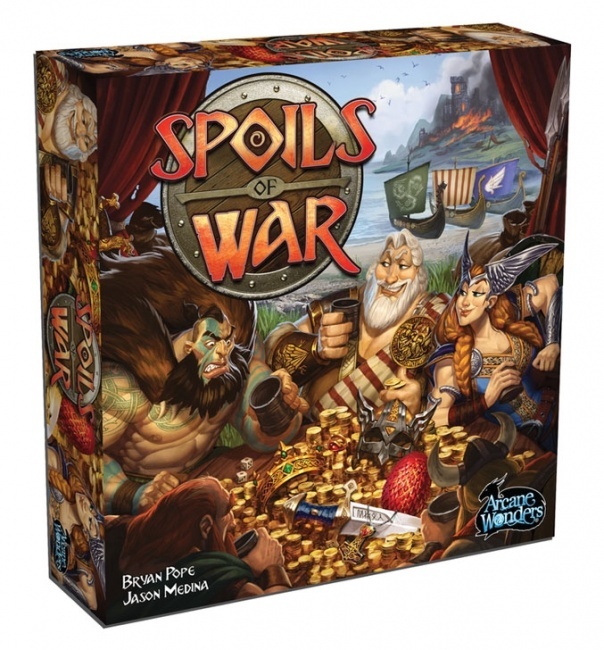 Spoils of War is a Viking-themed dice game of bidding and wagering (see “Vikings Clash in 'Spoils of War'”). 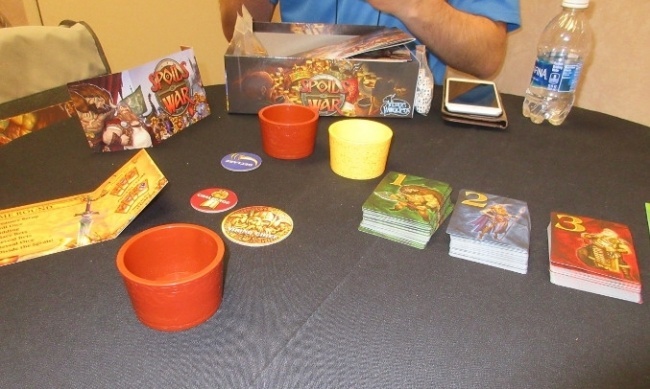 Arcane Wonders is offering a free gold cup case-topper to retailers who preorder six copies of the game. MSRP is $39.99. 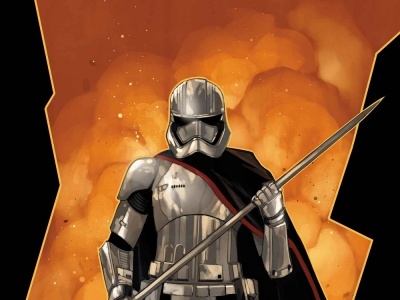 Release is planned for June. Sheriff of Nottingham: Merry Men Expansion was announced for the popular Dice Tower Essentials line game (see “'Sheriff of Nottingham' Game”). Although details were scarce, and art has not been finalized, the expansion is designed by Sergio Halaban (one of the game’s co-designers) and is planned for an August release. 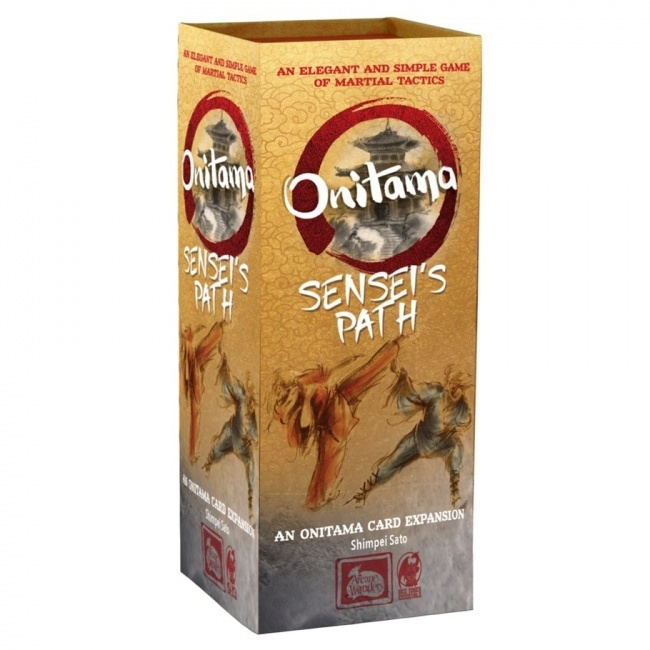 Onitama Sensei’s Path is a card expansion for Onitama. In includes 16 new cards that can be used as a standalone set of Move cards to replace those in the base game. Another way the cards can be used is shuffling them with the original 16 cards during setup to create new card combinations. 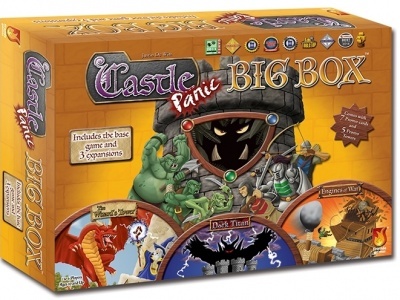 As an expansion, it requires the base game to play. MSRP is $12.99. Release is planned for May. 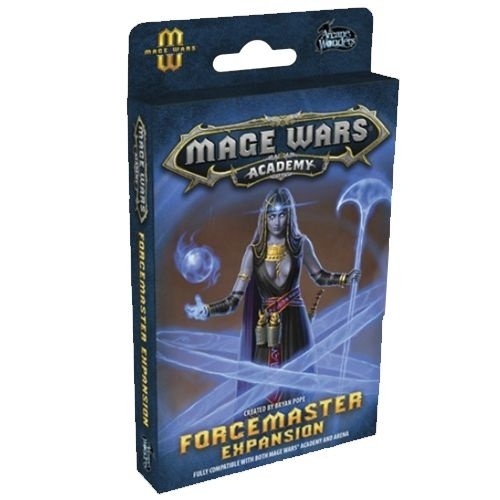 The Mage Wars: Academy strategy card game will add another contender to the mix with the Forcemaster Expansion. With this expansion of 72 spell cards, players can become the telekinetic Forcemaster who believes the mind is the most powerful weapon in any mage’s arsenal. 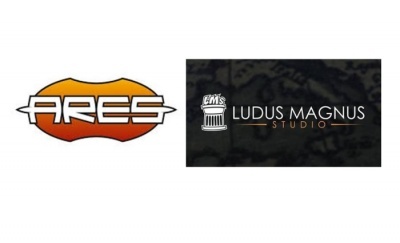 The expansion works for both Mage Wars: Arena and Mage Wars: Academy. MSRP is $19.99. Release is planned for July. Arcane Wonders has hired Dawn Studebaker as a Retail Consultant to facilitate brand education and outreach for retail partners, as well as help with distribution issues. Studebaker is the co-owner of The Game Annex in Fort Wayne, Indiana. Arcane Wonders will be releasing its first Retail Support Kit for multiple titles in May (see “Arcane Wonders Releasing Retail Support Kit For Multiple Titles”).